How many times do you have to clean after messy tenants? You have grown tired of this and we understand completely. We offer you a solution to your problem with our professional end of tenancy cleaning service. You can come to our office in London and inform yourself about everything we do. We are the best because we love what we do and we do it with the best machines and techniques there are. It is important to our whole team that we get every job done perfectly and with care. Don’t think twice and hire us. The best cleaning agency in London is offering end of tenancy cleaning everywhere in the city. We offer a professional cleaning service that will result in the best cleaning of your property no matter how hard it could be. Our workers have many years of experience and work with the best cleaning techniques. The results can be only satisfying for you. The best cleaning service at the best prices are here for anyone who needs help with this kind of job. This is an investment not only for you, but for your future tenants. Do you want your property to be perfect for when you give it for rent to new people? The solution would be hiring our professional cleaning agency. We offer the best and most efficient end of tenancy cleanings in London. This investment will give you tranquility about the state of your property because we are the best at what we do. We have years of experience in the field and use the latest techniques which allow us to be fast and efficient. The best thing for you and your property is to hire us to take care of it. The hard and overwhelming job of cleaning the entire house after the last tenants who lived there is not yours anymore. The services we offer have photo proof in our website that show before and after states of every home we have ever cleaned. 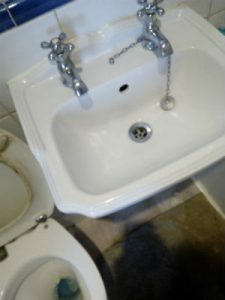 We have cleaned many houses throughout the whole city of London. You can be sure that the results would only be perfect and when you assure yourself of that you will become one of our many clients. It is important to us that we do our job with care and efficiency so you won’t worry about these things anymore.